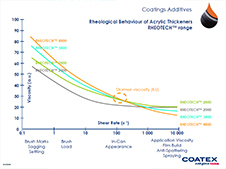 RHEOTECH™ M 03 by Coatex is an aqueous dispersion of an acrylic copolymer. 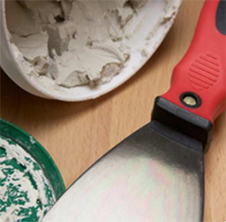 It is an associative acrylic thickener designed for water-based putties and textured coating formulations. It is easy to handle, incorporate and formulate while also providing high viscosities at low and medium shear rate with a good shear thinning behavior. It therefore gives a good body and high build to formulations while exhibiting ease of application. RHEOTECH™ M 03 is resistant to microbiological, enzymatic attacks and fully compliant with eco-friendly regulations. It may be added at every step of the formulation, also during the grinding step.